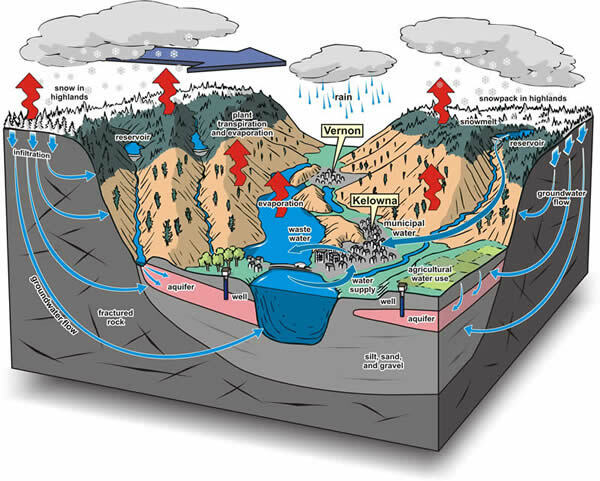 The Okanagan Basin Water Board (OBWB) was initiated in 1968 (legislated in 1970) as a valley-wide partnership to identify and resolve critical water issues in the Okanagan watershed. The Board of Directors includes representatives from the three Okanagan regional districts, the Okanagan Nation Alliance, the Water Supply Association of BC and the Okanagan Water Stewardship Council – a multi-stakeholder group established by the Board to provide independent science-based advice on water issues. The OBWB strives for consensus decisions and Directors have equal-weighted votes. Programs are supported through tax assessments on lands within the Okanagan watershed. 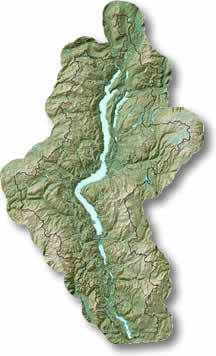 The Board’s jurisdiction is defined by the borders of the Okanagan watershed, or basin, rather than by political boundaries. The basin is almost 200 km long and 8,000 km2 in area. It is a narrow strip stretching from the city of Armstrong to the US border that includes the six main lakes – Okanagan, Kalamalka, Wood, Skaha, Vaseux and Osoyoos – and surrounding mountains. Basin-wide programs for watermilfoil control, wastewater infrastructure funding, and water research and management – benefiting all Okanagan residents. Advocating and representing local needs to senior government planners and policy makers – protecting Okanagan interests. Providing science-based information on Okanagan water to local government decision makers and water managers – for sustainable long-term planning. Communicating and coordinating between government, non-government, universities, businesses and the public – increasing the effectiveness of water initiatives. Building funding opportunities by providing leverage grants, securing external dollars and identifying cost-sharing partners – expanding local capacity. The goals and objectives the OBWB are outlined under Governance. Our overall purpose is to undertake strategic projects and programs at the Basin scale that meet the collective needs of Okanagan citizens for long-term sustainable water supplies while supporting the capacity of member jurisdictions to meet their own water management goals.